President Muhammadu Buhari has explained that he suspended Justice Walter Onnoghen as Chief Justice of Nigeria (CJN) in compliance with an order served on him “a short while ago” by the Code of Conduct Tribunal. 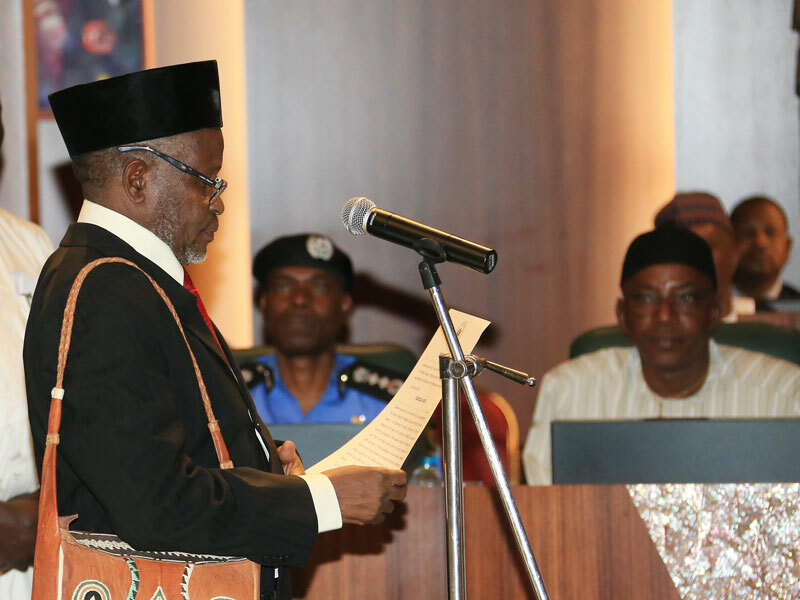 Following Onnoghen’s suspension, President Buhari sworn in Justice Tanko Mohammed as Acting Chief Justice of Nigeria until the determination of the case against Onnoghen before the Code of Conduct Tribunal on alleged false declaration of assets. Further, he cited the gravity of the petition against Onnoghen, the admittance that it was “mistake” and “forgetfulness”, the conflicting litigation, among others. President Buhari’s full chronicle of the circumstances culminating in the suspension of Onnoghen is as contained in his address read during the swearing in of the acting CJN at the Presidential Villa, Abuja. D fact remains that d com mon has been bamboozed in d time past by d ruling class.Hearing frm both sides looks real.